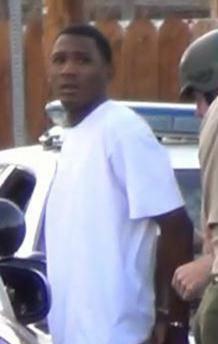 Brandy “Brandon” Houston (inset) was shot 12 times during an afternoon street brawl on Nov. 29, 2012 near Coach’s Sports Bar & Grill on the 43000 Block of Gadsden Avenue in Lancaster. 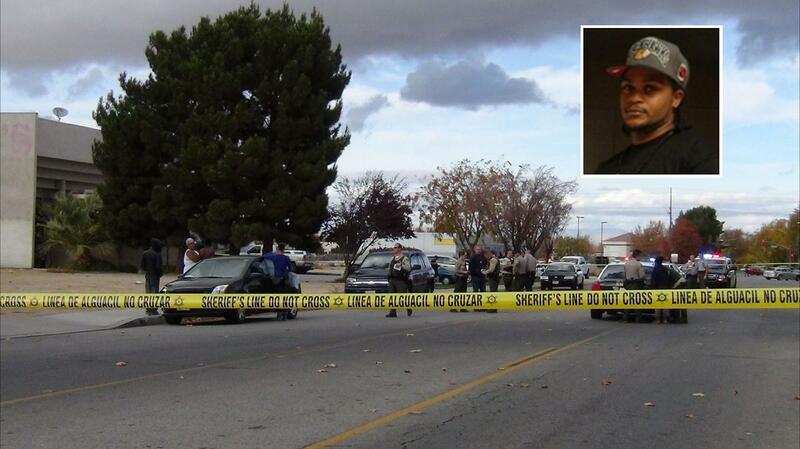 LANCASTER – The second of three men found guilty in connection with a 2012 daylight murder was sentenced in an Antelope Valley courtroom Friday. Terrell Henderson was sentenced Friday to 35 years to life in state prison for Houston’s murder. Terrell Henderson was sentenced to serve 35 years to life in state prison for the death of Brandy “Brandon” Houston – the 21-year-old Lancaster man shot 12 times during an afternoon street brawl on Nov. 29, 2012. The sentencing hearing was punctuated by an erratic courtroom speech from Henderson’s mother, Joyce Malone. Malone stood up and frantically apologized before charging over to the victim’s mother and giving her a hug. Henderson’s mother then scolded the judge for giving her son an “unfair” sentence, shouted words of encouragement to her son, and then stormed out of the courtroom. “Son, I love you! You stay prayed up and you trust in God, cause God got the last word!” Malone told her son before leaving the courtroom. Henderson removed his glasses and wept during his mother’s courtroom speech. Joshua Lockett (left) was sentenced May 9 to 15 years to life in state prison. Randy Sullivan (right) will be sentenced on July 9. 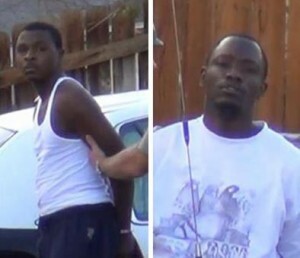 Henderson, 22, Joshua Lockett, 21, and Randy “Bam” Sullivan, 36, were all found guilty of second degree murder, though none of the three men actually shot Houston. Homicide detectives are still looking for the shooter. Houston was a “brave and loving angel gone too soon at the age of 21,” and family members were still heartbroken over his death, according to a victim impact statement from Houston’s sister, Chrishonda Coulter. Houston had a cheerful smile, he was a devoted family man, and he had become a first-time father only four months before his death, the victim impact statement said. On May 9, Joshua Lockett was sentenced to 15 years to life in state prison for Houston’s murder. Henderson was sentenced to 35 years to life (more than double that of Lockett’s) because Henderson had a prior “strike” conviction for a residential burglary, the judge said Friday. The third defendant, Randy “Bam” Sullivan, is scheduled to be sentenced on July 9. 4 comments for "Man gets 35 to life for Lancaster street brawl murder"
Why not just bury them their nothing, no sole just nothing but scum just worthless things. Complete waste to keep filth alive maybe spend the money on say dog spading or neutering. More dirt bags off the street, that’s good. That our taxpayer’s dollar$ will support these losers for the rest of their lives, not so good. Thank goodness these hoodlums are getting their due. These barbarians will go and be amongst their own behind California penitentiary walls. It’s no wonder Terrell turned out the way he did. His mother felt like her murderous son was being treated unfairly, yet it wasn’t unfair when Terrell and his hoodlum buddies went and jumped the victim. Just another example of horrendous parenting and not teaching kids accountability and morality. Nevertheless, good riddens to these three “men”, you’ll be left to rot in a cell while the world will prosper and thrive without you and hopefully more punks like this can be taken off the streets so that the civilized people of the A.V. can live more peacefully.